Great cycling weekend in Siena for Strade Bianche 2017 race, one of the most important and followed by fans cycling races of the year. The next Saturday 4 and Sunday 5 March, the Crete Senesi, will host the Strade Bianche 2017,The Classical North race in the south of Europe. This year it has reached its eleventh edition in the men’s section and the third edition in the womens one. Organized by RCS Sport / La Gazzetta dello Sport, the competition has gained the right of the most prestigious classical world. After the Eroica, which will be held next October 1 in Gaiole in Chianti and in 2016 totaled 6,500 starters, the Strade Bianche is certainly the most important event. Saturday, March 4th is the day dedicated to the most expert cyclists men and women who also opened the new Women’s World Tour. In the men’s trial of Strade Bianche NamedSport is this year included in the calendar UCI WorldTour. It expects the clash between the protagonists of the one-day races such as the World Champion Peter Sagan, the Belgian Olympic Champion Greg Van Avermaet and Czech Zdenek Stybar (winner of the race in 2015 and second behind Cancellara in 2016). 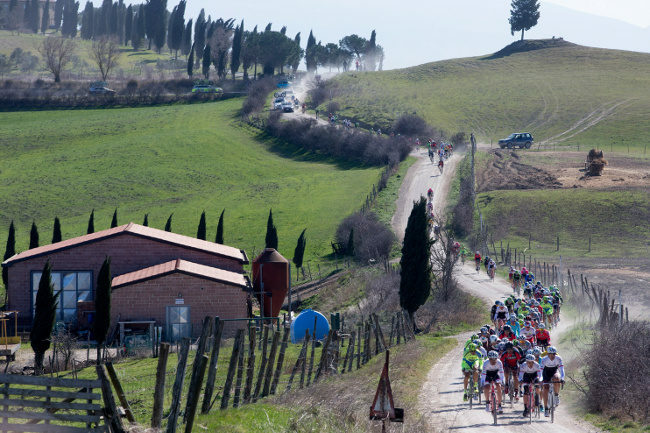 For all the Cyclist lovers on Sundays March 5, there will be the Gran Fondo Strade Bianche. For all the races among the Strade Bianche the starting point is the Medici Fortress in Siena and the finish line is in the beautiful Piazza del Campo. So Siena is going to be the only protagonist of Strade Bianche, in addition to the amazing landscape of the Crete and Val d’Orcia and its 52 km of white roads … (the race got its name from the typical path). Not easy at all if you consider that teams of professionals but also amateurs run with road bikes. There is going to be a very exciting fight for the podium in the Piazza del Campo at the finish line. But not only the experience and physical strength are important there… the last part of the race through the narrow streets of the historic center of Siena will test our athletes. The trial for men experts on March 4th is 176 km long , 9 sections and 52,8 km of gravel/white roads in the countryside. While the one for women expers is 121 km long, 7 sections and 22,4 km of gravel/white roads in the countryside. 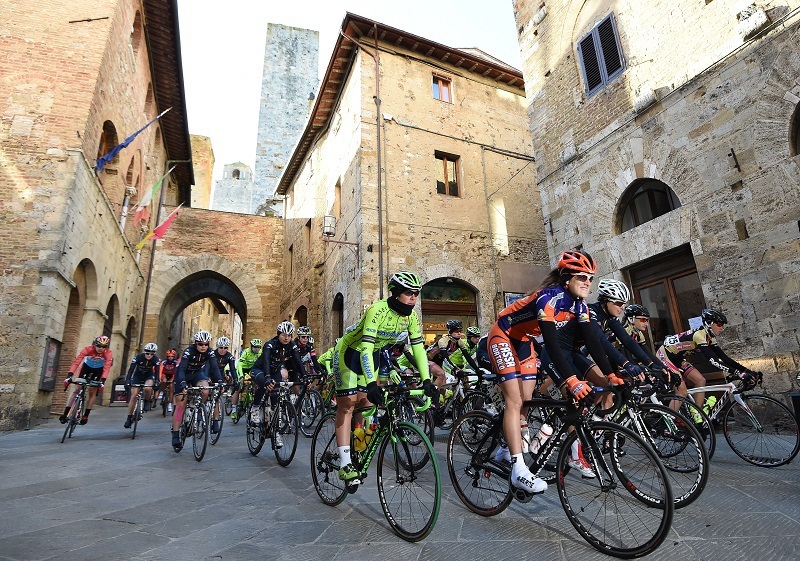 The Gran Fondo on Sunday March 5th , born for all cycling enthusiasts who wanted to experience the thrill of Strade Bianche. The biking race takes place partly on the same path of the famous Strade Bianche. For more information about the event Strade Bianche and booking, visit the website www.gfstradebianche.it . The participation fee includes a personalized bib, race package that will be delivered to all subscribers on March 3 in the Medici Fortress, mechanical assistance, in the run health care, refreshments during the race (3) and pasta party on arrival inside the Fortress! Borgo Grondaie it’s only 2 Km from the historical centre of Siena (and the Fortress), so you can leave your car in our parking and ride to the starting line! We are awaiting for you for a sporting weekend in Siena!